As you’ve been appointed to a new project, you must take the role of project manager. 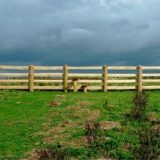 But how will you do this role? What activities are you going to perform to ensure the success of your project startup? In this article we talk about the basics of the startup process. You will read about the skills you must possess to be a good project manager. Here we also talk about the steps of managing the startup stage. Appraising a project means reviewing and evaluating this project for feasibility and cost-effectiveness to understand and approve the project concept, which explains what problem/need to address and what solution to implement. This Project Appraisal Template is designed to help analysts and appraisers to assess and justify theirs projects. It comprises a range of steps and activities to be taken during the project initiation or pre-planning phase. The Template describes the method that is based on best practices of project management (PMI and PRINCE2 standards). project appraisal management serves as the major process of analyzing and approving the project. 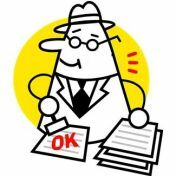 In this article, I am going to write about the project appraisal process and its key steps. Efficient planning for project success significantly depends on the right statement of the constraints and assumptions. 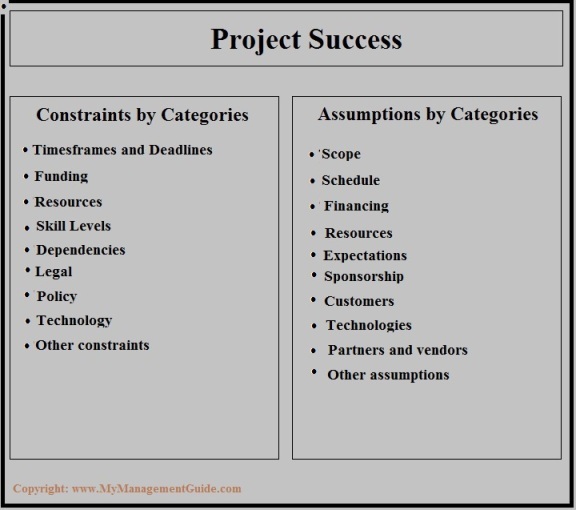 Why are constraints and assumptions in project management so important? The answer is that because setting proper project constraints and assumptions paves the way for adequate risk analysis, efficient project planning and timely project delivery. 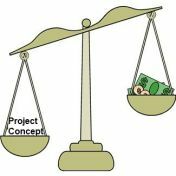 This article is intended to give you definitions of both project constraints and project assumptions and also show what steps can be taken to determine the key characteristics of project success.